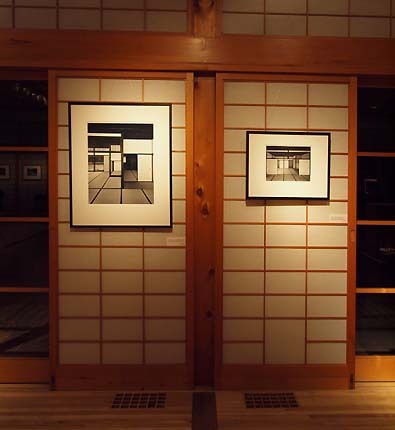 The Portland Japanese Garden's Katsura exhibition and The Ma of Modernism offer a rewarding look at Japanese architecture and form. 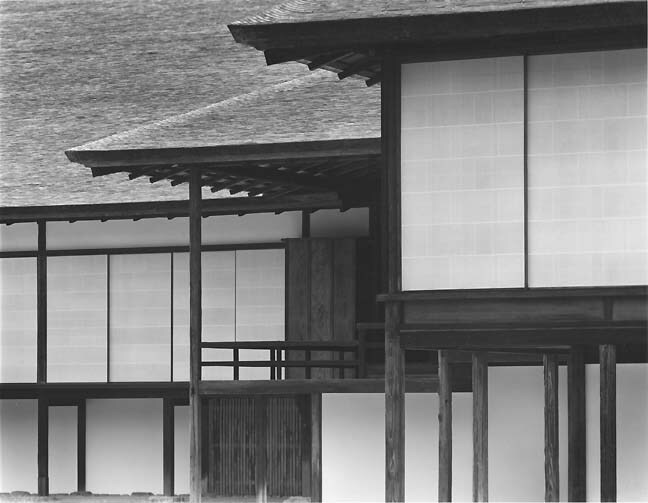 The Katsura Detached Palace is one of those all time masterpieces of architecture, like the Parthenon, St. Peter's Basilica or The Great Pyramid... its mere existence conveys much more than a series of rooms and an exterior form. It's an embodiment of an idealized worldview and therefore acts as a symbol of national identity that goes way beyond individuals, becoming so emblematic that its reputation transcends that culture. In fact, it so impressed the Bauhaus' Walter Gropius upon visiting it that in many ways its design DNA can be found everywhere in high modernist architecture. It has gone beyond architecture and become an idea. Yet, the palace itself is more of an incidental jumble that conveys a sense of enduring imperial succession rather than Gropius's high modernist architectural language. Lately, deconstructionist architects like Herzog & De Meuron and Rem Koolhaas have made careers of this elegant type of structural dissonance. Master photographer Ishimoto Yasuhiro, a Japanese American who took up photography while being held in an internment camp during WWII, found Katsura as a subject just as incredibly loaded as his street photography. With the advent of the cold war suddenly Modernism and Japan were key to Post WWII politics and Yasuhiro found his voice in that discussion. In fact, the photos were originally commissioned by The Museum of Modern Art and are related to other modernist photography like Aaron Siskind and the modernist paintings of Hans Hoffman. 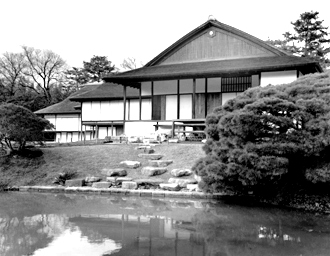 The Katsura Detached Palace is Shindin-Zukun style (palace and garden with the building as the focal point) and was originally constructed for holding poetry readings and observing the moon during the tsukimi festival in the Heian period (710-1185). During this period gardens and their structures shifted from being sites of religious focus to places of amusement, contemplation and the arts. Also, the architecture is less about its interior than the way it relates to the nature outside. In fact, the moon viewing platform is the focal point around which the entire complex is constructed. What Yasuhiro grasps so well is the inherently poetic play of the structure which is in itself a amalgamation of three separate structures whose divergent details still act as a harmonious whole. Thus, despite being highly formal, like any building built for feudal court life the structures convey an incidental ease. Yasuhiro grasped these concepts incredibly well and his photos compositions make use of the cascading framing devices in the palace. 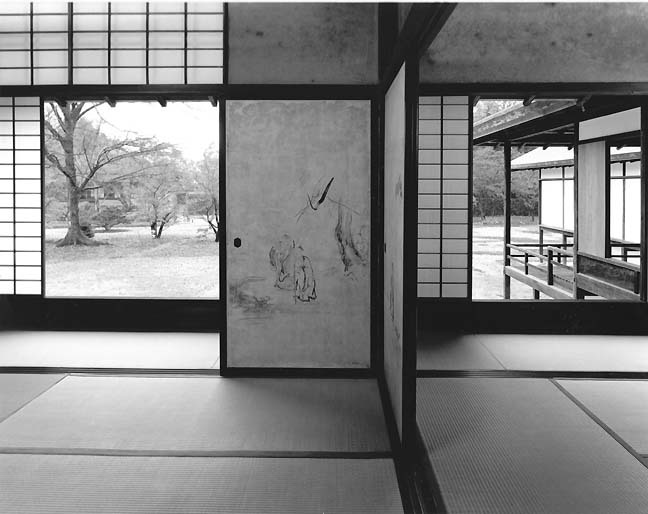 He captures the incredible lining and perspectives perfectly in photographs like Interior of the Old Shoin, Viewed from the East and Main Room of the Old Shoin,Viewed from the North-east. Second Room in the Foreground. What's more his photos always seem to highlight subtle changes in materials and textures of the structure. 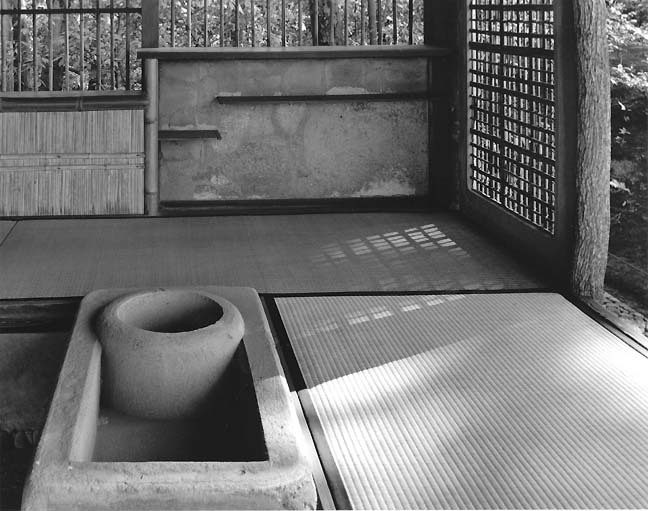 Yasuhiro's photos are highly formal and the light he captures is soft and diffuse... any streaks of sunlight as in Interior of the Shokatatei Pavillion, Preparation Space for the Tea Ceremony are more like quiet guests, showing off Yasuhiro's abilities in the darkroom (akin to the Tea Ceremony in its own ways). 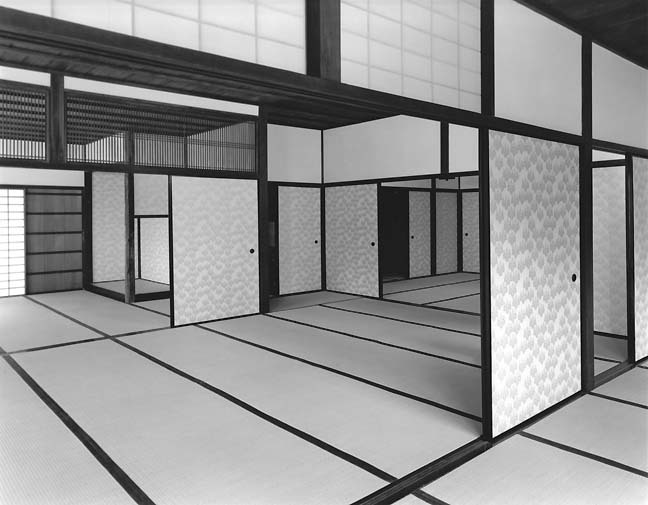 These are generally not very high contrast B&W photos and instead consist of a soft diffuse cascade of shoji walls and support beams, which remind me somewhat of Robert Irwin's scrim pieces. Yet these are different as the images constantly shift from more documentary architectural shots to abstracted textural studies. In fact the only prominent photographer who reminds me of this very refined sort of macrocosm/microcosm work is Todd Eberle (whose Donald Judd and Cern Large Hadron Collider images convey a similarly enlightened zen-like outlook). The Japanese Garden can only show 25 of the 50 images at a time so it's worth visiting this weekend then for a return visit next week when there will be another batch on display. The exhibition pavilion itself is remarkable since Portland's Japanese Garden is rightly considered one of the very best outside of Japan. Placing images of a Japanese Garden within the pavilion of another Japanese Garden turns out to be a surprisingly inspired idea. Thanks to The Japan Foundation for bringing this to Portland. 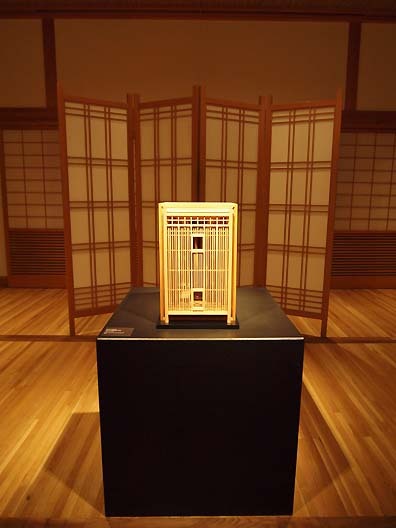 There is also an exhibition of Daniel Fagereng's the Ma of Modernsim box constructions in the same space which enhances the exploration of Japanese style construction and materials. 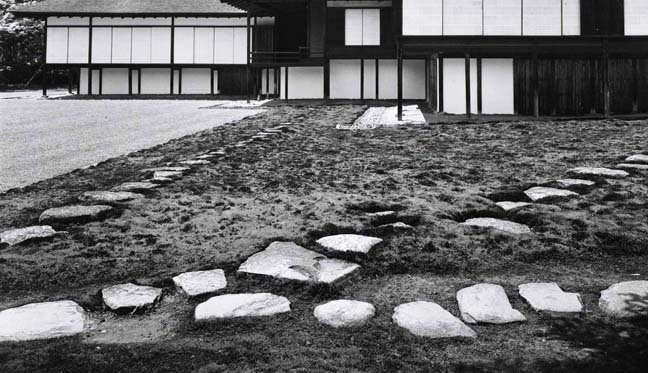 Fagereng studied Nog mask carving in Kyoto and these poetic structures have a lightness that remind me of the pavilion they are housed in as well as the Detached Katsura Palace. Highlights by Fagereng include Semi-Habitat, Enclosed Veranda-Tsukeshoin and Hanbun-Hanimichi. Unfortunately many of these works though meant to be seen from two sides were positioned against walls, as a group they show an intense familiarity for modern Japanese living but are perhaps outclassed by the poetic images of the Katsura Detached Palace, which is a living shrine... whereas Fagereng's boxes feel like nostalgic mementos related to a tradition of craft and his time in Kyoto. I'd like to see Fagereng's take on more present materials as the boxes show promise but feel... just a bit too contained in size and ambition. Overall the two shows have a nice symmetry and I like the non white box arrangement of the exhibition and bucks the modernist-postmodern legacy of sterile spaces with zero personality. 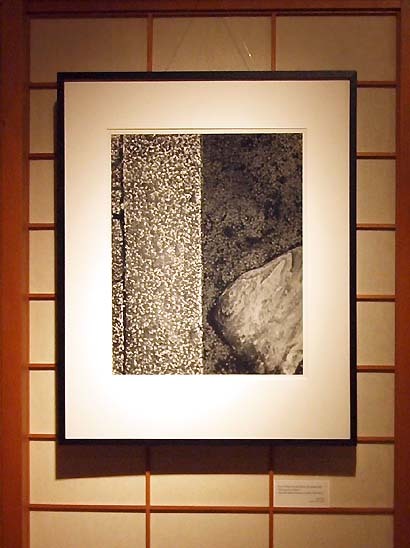 It is also nice to have such a world class venue like Portland's Japanese Garden doing significant contemporary and modern shows that stretch their cultural mission. In many ways Portland's art scene is closer to Asia than it is to New York (though it is a very small planet these days).